Update, June 6th: for those 32-bit Windows users still experiencing problems with this issue, the Lab has issued the Unloop RC viewer. On May 31st, 2018 Linden Lab updated the Love Me Render Release Candidate, viewer version 5.1.5.515811 to de facto release status. 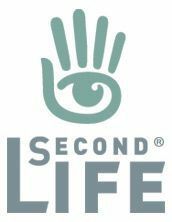 Unfortunately, during the release process, there was an error defining the location of the Windows 32-bit version of the Second Life viewer download. Because of this error, all Windows users downloading the viewer received the 64-bit version, regardless of which version of the operating system they are running. While the issue has now been fixed so that 32-bit Windows users will receive the 32-bit version of the viewer, anyone running 32-bit Windows who downloaded the viewer during the 24 hours when the incorrect location was available (12:00 noon SLT on Thursday, May 31st, 2018 through 12:00 noon SLT on Friday, June 1st, 2018) may now find their system is stuck in a loop of trying to install the 64 bit version of Second Life. There is a way out of this loop. Uninstall the 64 bit version of Second Life. For the technically inclined there is a more surgical method to quickly recover. Open your file explorer in Windows. In the address bar type in %appdata% and press Enter. Locate the SecondLife folder and open it. Locate the downloads folder and delete it. Launch Second Life as normal and the correct update will be applied. For those needing further information, please refer to Kyle’s forum post. Am the only one thinking that inept lab employees must be fired? And am I the only one thinking that 32-bit users are even worse?